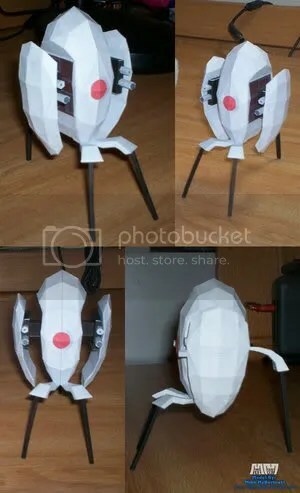 Now all we need is a DIY paper HL2 crowbar and a DIY paper Portal gun. Quite possibly the awesomest piece of paper I’ve ever seen. Too bad I’m not good at folding stuff :(. A hearty “Job well done” to DeviantArt user billybob884. gamesetwatch.com has a delightful (if not ear hurting) list of 12 Still Alive covers.